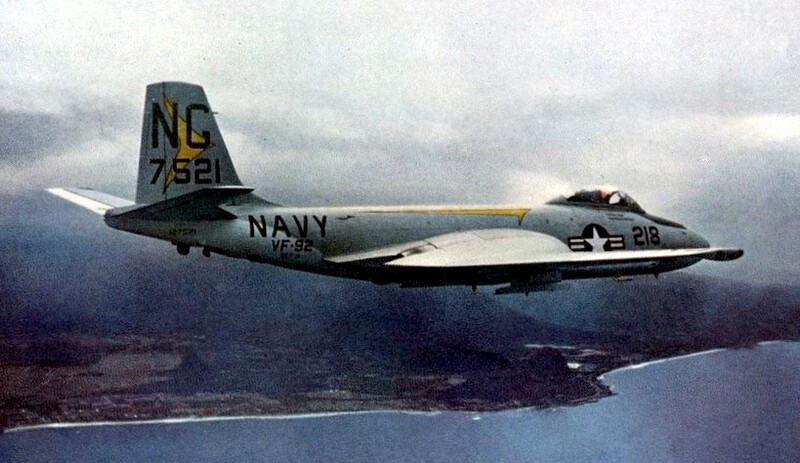 The VF-92 designation enjoyed a brief outing from 12 August 1948 after redesignation from VF-10A, being re-designated VF-74 on 15 January 1950. 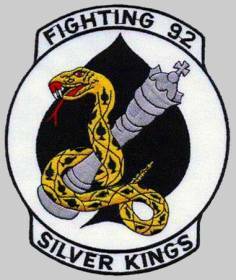 VF-92 was re-established on 23 March 1952 at Naval Air Station Alameda flying the F4U-4 Corsair. The squadron first deployed on the USS Valley Forge, deploying to Hawaii, Yokosuka Japan and then undertaking ground attack operations off the coast of Korea from 20 November 1952 until 25 June 1953. In July 1953 the squadron returned to Alameda to transition to the F9F-2 Panther. In January 1954 the squadron was embarked on the USS Philippine Sea on a WestPac cruise. [The Korean Cease Fire occurred while the carrier was transiting from Pearl Harbor and Yokosuka, Japan. It was decided to determine the effect of hot weather on Jet Operations and the carrier was directed to Manila Bay and operations in the South China Sea. The tour was extended 3 months when the USS Boxer lost a propeller shaft on sea trials coming out of repairs. Ens. James Christensen was lost off the coast of Japan training flight because of a flame out in level flight.] 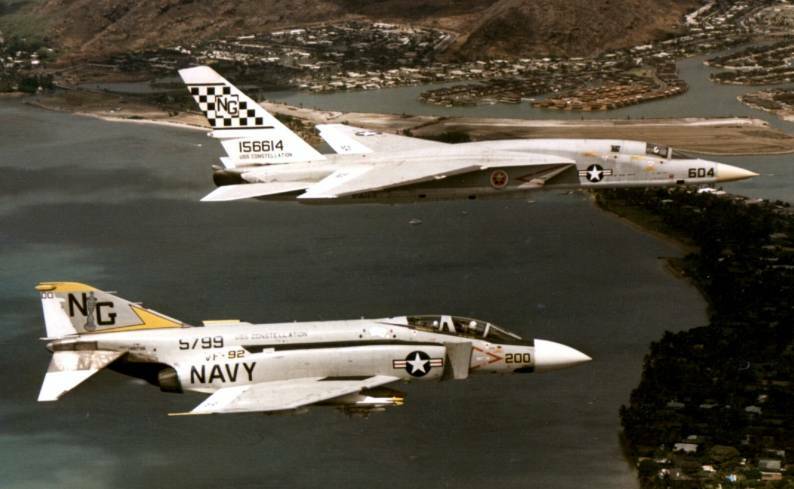 In mid-1959 the squadron transitioned to the F3H Demon. In December 1959 the squadron deployed on the USS Ranger as part of Carrier Air Wing Nine and departed for a WestPac cruise. 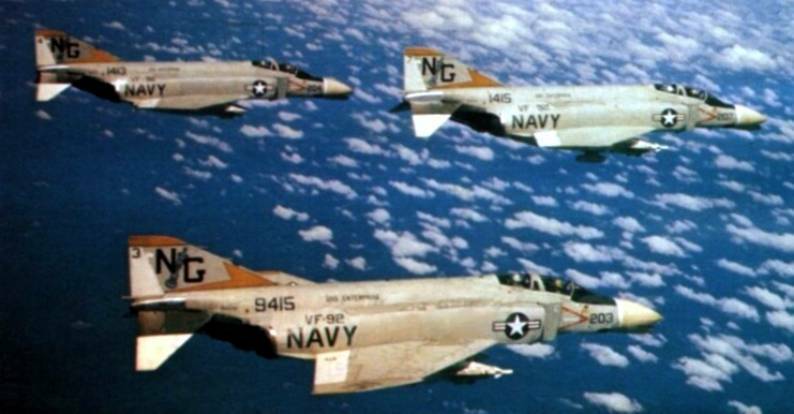 In 1963 the squadron transitioned to the F-4B Phantom II and deployed on the USS Ranger (CVA-61) from 5 August 1964 to 6 May 1965. The squadron deployed from Miramar Naval Air Station in San Diego on the USS Enterprise from 26 October 1965 to 21 June 1966. On 29 December 1965, F-4B #151412 was hit by enemy fire during Operation Barrel Roll and crashed in Mu Gia Pass. The Pilot, CDR Edgar A. Rawsthorne (Commander, VF-92), and his radar intercept officer, LT Arthur S. Hill, were both killed, body not recovered. 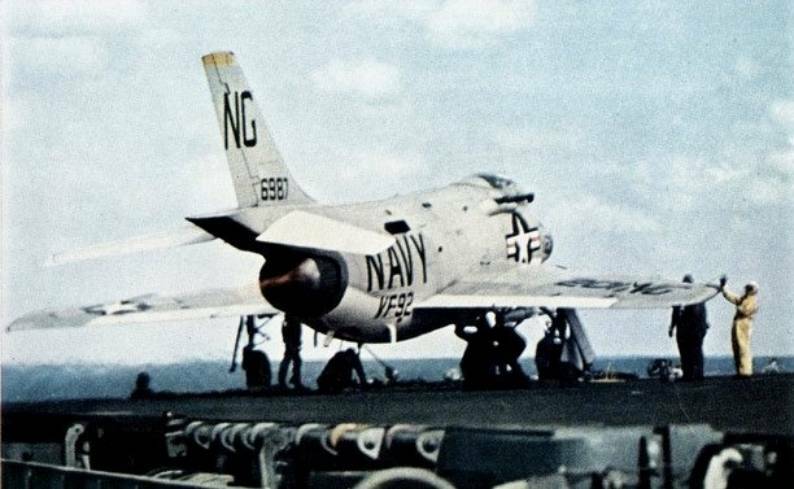 (As an interesting side-note, CDR Rawsthorne had also served in VF-92 during the Korean War, when it was flying F4U-4 Corsairs.) 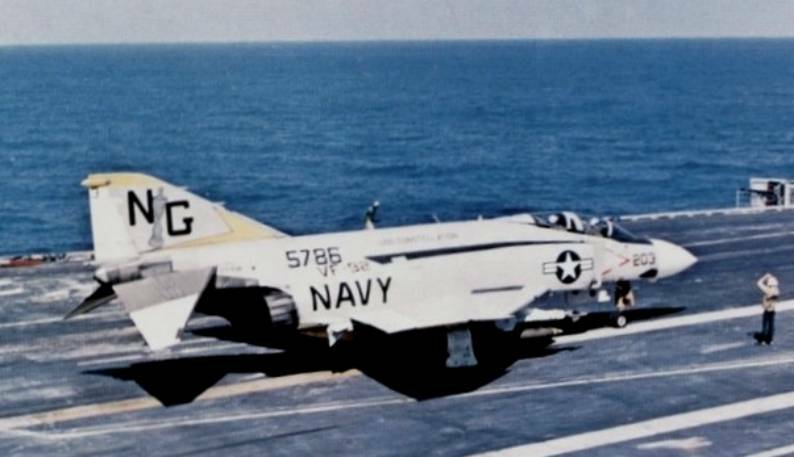 On 18 February 1966, F-4B, #152297 was hit by enemy fire and crashed in Thanh Hóa Province, the pilot LTJG James Ruffin was killed while the radar intercept officer LTJG Larry H. Spencer was taken prisoner. 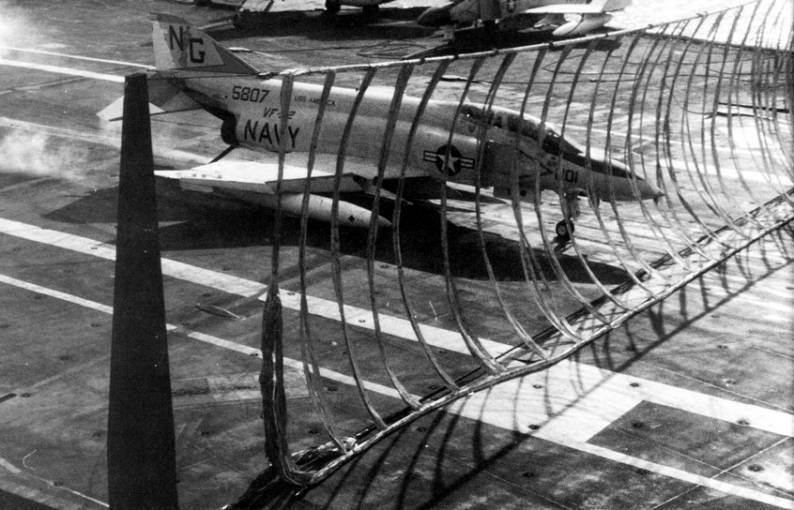 On 20 March 1966 F-4B #151410 was hit by enemy fire while conducting an armed reconnaissance mission, the plane flew out to sea and both crewmen ejected successfully, the pilot Lieutenant James S. Greenwood was rescued while the radar intercept officer Lieutenant (jg) Richard R. Ratzlaff was captured. The squadron deployed on the USS Enterprise again from 19 November 1966 to 6 July 1967. 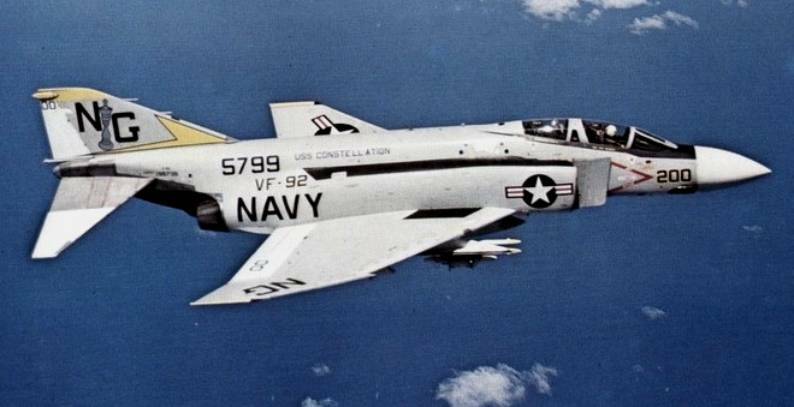 On 4 April 1967 F-4B 3152984 collided with another jet and crashed killing the pilot Lieutenant Edward Szeyller and the radar intercept officer Ensign David Martin. 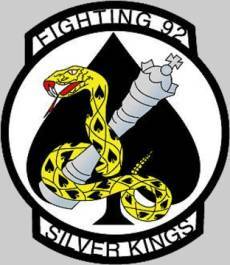 The squadron deployed on the USS Enterprise again from 3 January 1968 to 18 July 1968. 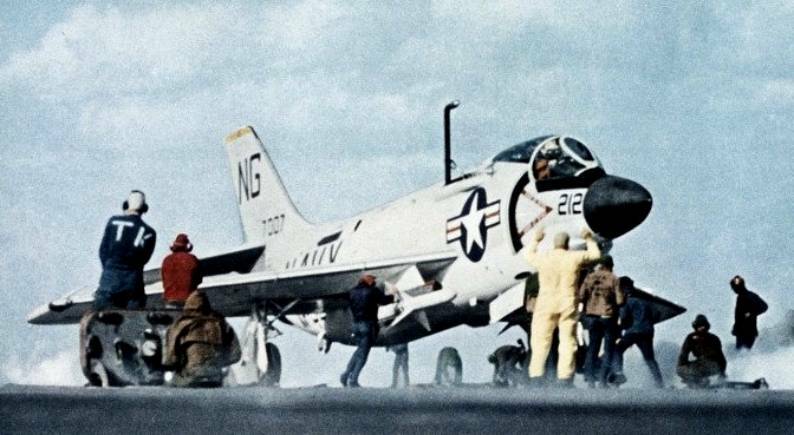 On 7 May 1968 F-4B #151485 was hit by an SA-2, both crewmen ejected successfully over water and were rescued. On 2 June 1968 F-4B #150453 suffered mechanical failure while on a barrier combat air patrol, both crewmen ejected successfully and were rescued. 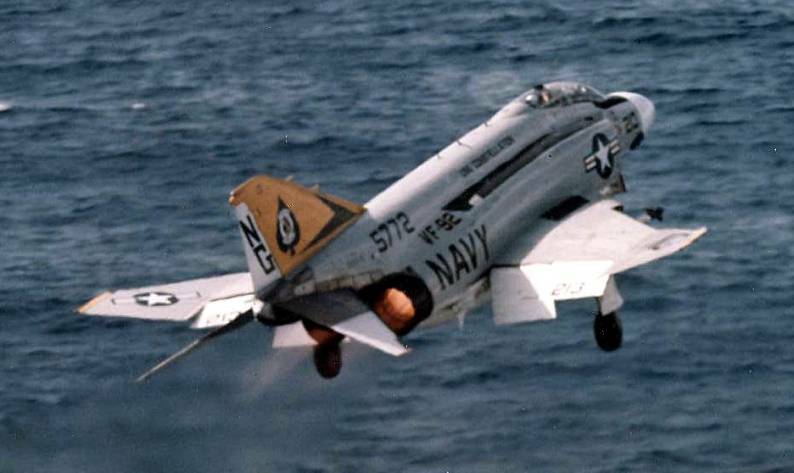 On 7 June 1968 F-4B #150994 suffered mechanical failure on launch, both crewmen ejected successfully and were rescued. The squadron transitioned to the F-4J and deployed again on the USS Enterprise (CVN-65) from 6 January 1969 to 2 July 1969. 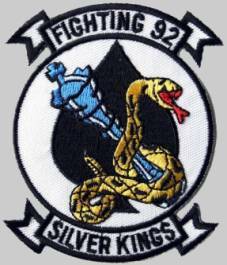 The squadron deployed on the USS America from 10 April 1970 to 21 December 1970. 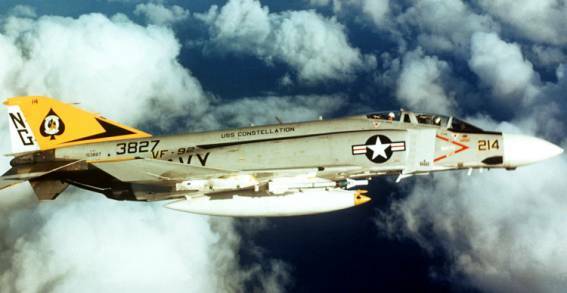 On 25 July 1970 F-4J #155789 suffered control problems over the Gulf of Tonkin, the radar intercept officer Lieutenant j.g. W Harding ejected successfully and was rescued but the pilot Lieutenant Paul Gregory was killed. 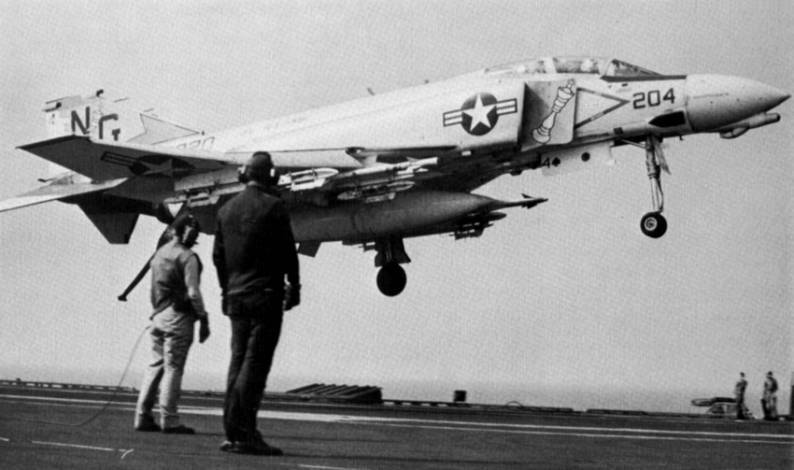 The squadron deployed on the USS Constellation from 1 October 1971 to 30 June 1972 On 10 May 1972, F-4J #157269 flown by Lieutenant Commander James McDevitt and Lieutenant Curt Dose shot down a Vietnam People's Air Force Mikoyan-Gurevich MiG-21 with an AIM-9 Sidewinder. 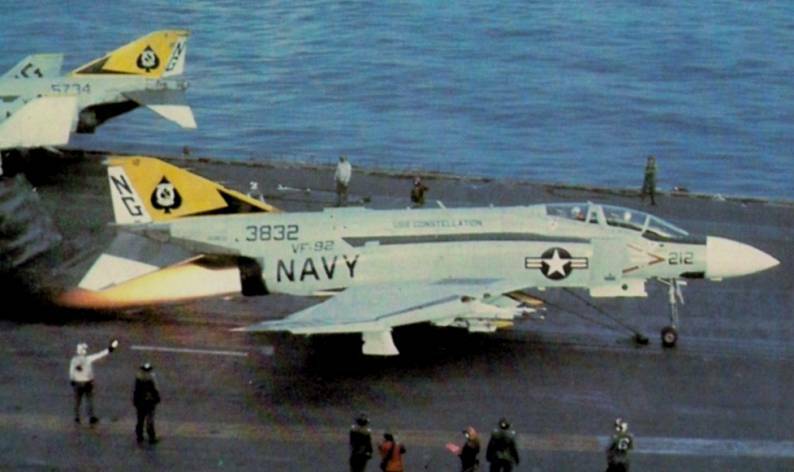 The squadron again deployed on the USS Constellation from 5 January 1973 to 11 October 1973 and from 21 June 1974 to 22 December 1974. The squadron was disestablished on 12 December 1975.